Nearly 100 Sailors volunteered to help improve the site at the EarthLab, an outdoor dynamic learning center, Oct. 13, during a community relations project. The sailors were partnered up with 120 students from Millennial Tech Middle School and worked together to restore the native habitat by removing non-native plant species and mulching the property. They were also able to plant a 40-tree orchard with trees donated by La Mesa Rotary. They put together the new orchards irrigation system with supplies donated by The Toro Company. EarthLab is a 4-acre open space parcel that orients itself around food, energy and water education. It is located in the heart of the Chollas Creek watershed and is the center of environmental education and the community outreach program for Groundwork San Diego, a non-profit organization that serves as the watershed manager for the Chollas Creek watershed. Having 12 schools within walking distance of the EarthLab, it works as an ideal location for science and climate action education, afterschool and summer enrichment and also operates as a demonstration center for students and families. The Chollas Creek is a 32-mile natural waterway and drainage system that traverses neighborhoods within City Heights, Oak Park, Encanto, Chollas View, Mt. View, Mt. Hope, and Southcrest, from its headwaters in La Mesa and Lemon Grove to San Diego Bay. Reynolds says that with the Chollas Creek being one of the most polluted waterways in the United States, it is vital to keep the watershed healthy and safe by mulching the land and planting native plants to help mitigate pollution. 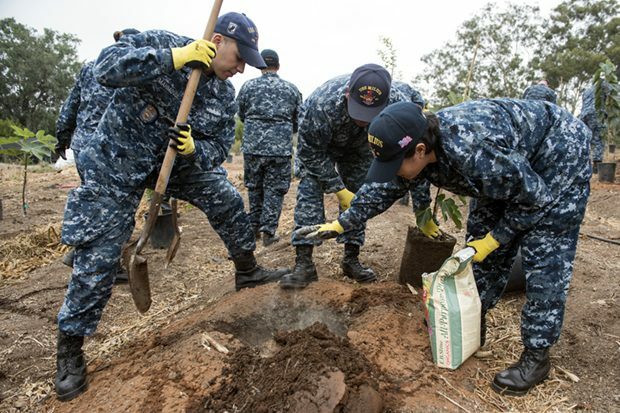 During the project, sailors from multiple commands and the students were seen working hard while raking, shoveling, planting and clearing out dead vegetation. The event is one of many volunteer opportunities presented to Sailors and service members during Fleet Week San Diego 2017. 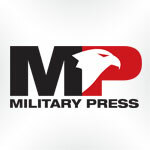 Fleet Week San Diego is a celebration of the sea services and offers the public the opportunity to tour ships and interact with Service members to gain a better understanding of how maritime forces support national defense and freedom of the seas. For more information on the EarthLab, go to http://groundworksandiego.org/earthlab/.